American inventor who developed a truss design to build a light, cheap and substantial bridge for the developing railroads. [p.596] THE little town of Spencer, Massachusetts, which has long been famous but didn’t know it, will, on October 1 of the present year , call upon the whole world to witness its tardy recognition of its own distinction by dedicating a monument to the cause thereof, the Howe family. It was in harmony with the eternal fitness of things that a woman should have been the messenger through whom Spencer learned of its greatness; for if it had not been for the invention of the sewing-machine by Elias Howe, Jr., womankind could never have had so many pretty things to wear—for the good and sufficient reason that there are not people enough in the world to sew them all by hand. And no woman could have been better qualified to urge the town’s claim to renown than the late Mrs. Nellie T. Bemis, who first suggested a monument to the Howes and set afoot the local movement that has carried out her idea. Mrs. Bemis—who unfortunately has not lived to see the completion of what she undertook—bore the maiden name of Elias Howe’s mother, a name that has played rather a conspicuous part in the early history of the Bay State. In fact, the Howes appear to have inherited their inventive faculties from the maternal side of the house. Elias was three-fourths Bemis and one-fourth Howe, for both his mother and his father’s mother were Bemises. William and Tyler Howe, his uncles, who were also the originators of notable inventions, were half Bemis and half Howe. The Bemises were evidently a resourceful and ingenious lot. There was Captain Edmund Bemis, for instance, who commanded a Massachusetts company at the capture of Louisburg, in 1745. After the French had surrendered, it was found that they had spiked their guns. Up to that time it had been considered impossible to drill out a spiked cannon and render it fit for further service. But the commander of the American forces had particular need of those captured guns, and he offered a prize to any one who could find a way to restore them to usefulness. Captain Bemis suggested that if he were allowed plenty of wood, he thought he could do the trick. Having received permission to go ahead, the worthy Yankee captain built a roaring bonfire around and upon one of the guns. The heat expanded the metal so that it was a very simple matter, with a hammer and punch, to drive the spike through into the barrel, whence it could be easily extracted. Another Bemis invented a machine for cutting shoe-pegs. Still others originated less important devices for various purposes. All this tends to show that the inventive habit was hereditary in the family from which the three famous Howes were descended. All three were born in an old house still standing opposite Howe’s Mills, in the southern outskirts of Spencer. 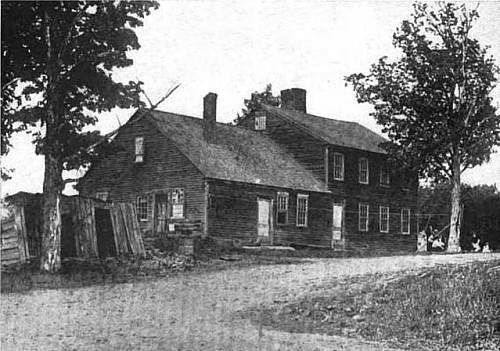 The [photograph] shows both the story-and-a-half structure, dating from the eighteenth century, in which William and Tyler Howe were born, and the more modern and slightly more pretentious addition in which Elias Howe first saw the light. William, the eldest of the three, was the first to get a start on the high road to fortune. His invention came at the psychological moment to allow the [p.597] development of the railroad and proceed without delay. A light, cheap and substantial type of bridge had not yet been evolved, though it was sorely needed by the pioneer railway engineers of that day. William Howe, who was always on the lookout for ideas, was examining the structure of an old church in the neighboring town of Brookfield, when his attention was attracted to the truss supporting the roof. He did some hard thinking on that truss, then set out for Warren, Massachusetts, where the Boston and Albany Railroad was confronted with the problem of crossing a good-sized stream. 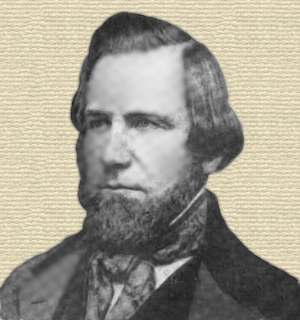 Howe told Captain W. H. Swift, of the United States Engineer Corps, who was acting as chief engineer for the railroad company, that he had a new idea in bridges. On being shown the plans, Captain Swift was so much impressed that he gave to the genius from Spencer the job of building the bridge. It was accomplished to the entire satisfaction of the captain and the railroad company. Two years later Howe secured a patent for the famous truss that bears his name; and about the same time he secured a second and much more important contract—for a bridge across the Connecticut River. For want of an office, of a drawing-table, and of paper, the inventor drew the plans for this bridge, the largest constructed in America up to the time, on the plaster walls of the Spencer tavern, where they remained until the inn was torn down, thirty-eight years ago. The completion of this triumph of engineering skill, in 1842, established William Howe’s fame. Thereafter he was besieged with offers of profitable contracts. His fame spread as far as Russia, and [p.598] in 1845 he was induced to enter into an agreement to go there as superintendent of structural work on the railroad between St. Petersburg and Moscow. When the time came for him to go, however, he was so busy with important work nearer home that he arranged to send a substitute to Russia. His invention brought him a large fortune, though he did not live long to enjoy it, for he died in 1852. Truss image from U.S. Patent 1,711 diagram (issued 3 Aug 1840) (source) . William Howe had been issued a patent in the previous month for a truss frame, but in the illustrated truss - an important revision - he replaced the wooden vertical posts with iron rods which when tensioned provided uplift and cambering of the lower horizontal members. The wooden cross braces and counterbraces were superceded with metal braces in his later bridges. 12 May - short biography, births, deaths and events on date of Howe's birth. North American Railroad Bridges, by Brian Solomon. - book suggestion.